It’s known to all that iTunes movies you purchased from iTunes store come with DRM protection. The iTunes movies can be only played on authorized computers and iOS devices with associated Apple ID. If you want to enjoy iTunes movies on Huawei, Samsung, LG, One Plus, other Android phones and tablets, you need to remove DRM protection from iTunes movies first. Here we provide a powerful and intuitive DRM removal tool for you to remove DRM without any hassle. Fairplay is a DRM technology developed by Apple. Before 2009 March, FairPlay was implemented to both iTunes music and movies to prevent users to enjoy their purchased music tracks and movies on unauthorized devices. 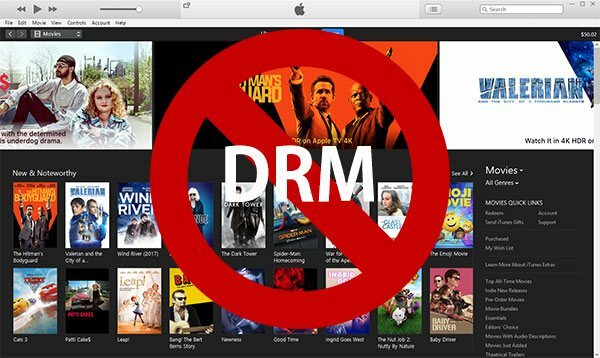 In 2009 March, Apple stop selling DRM protected music and switch to DRM-free M4A music tracks, however, DRM protection on iTunes movies was never taken away. That is to say, even you have purchased the movies or TV episodes from iTunes Store, you can only play them on PC, Mac, iPhone, iPad or iPod Touch with associated Apple ID authorized. Nowadays, almost every family own multiple devices including non-Apple mobile phones, tablets and game consoles including Huawei, LG, Samsung, Google Pixel, Nexus, Kindle Fire, PSP, PS3, PS4, Xbox and more. If you want to enjoy your purchased iTunes movies on these devices, you have to remove DRM protection first. Removing DRM protection from iTunes movies is not that easy, as least it can’t be finished by normal video converters. 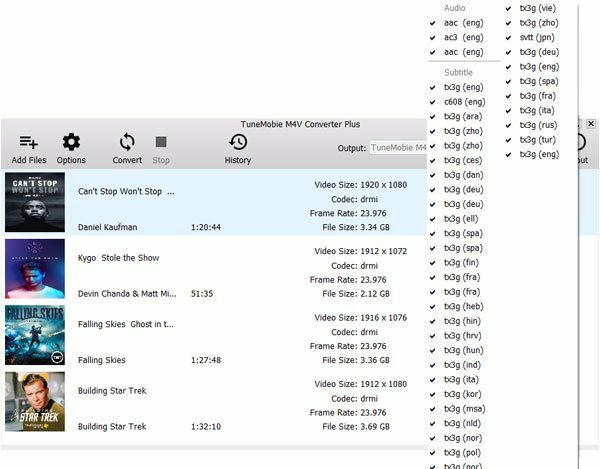 Some so-called DRM removal software uses video recording technology to record the playback in iTunes window, however, the disadvantages are also apparent. You can only record currently spoken audio track while iTunes movies always come with multilingual audio tracks. You can only record currently displayed subtitle, however, subtitle can’t be disabled in output video while playing. Besides, iTunes movies always come with multiple subtitle tracks. Video recording will lead to quality loss. Video recording is time-consuming, normally it costs as long time as movie duration because you need to play and record. There are some free video recording tools, if you can bear the long time and bad output quality, then using video recording software to remove DRM from iTunes movies is not that bad. But we are sure you will change your mind if you know the professional DRM removal tool below. Download and install the free trial version. Free trial version can convert first 5 minutes of each movie. Launch TuneMobie M4V Converter Plus and iTunes will be automatically launched as well. Just let iTunes stay in the background and do not operate it when running M4V Converter Plus. Operation on iTunes may lead to conversion failure. Now click “Add Files” button to load iTunes video library. The Library playlist includes all iTunes M4V movies, TV shows and music videos. Movies, TV shows, Music Videos and other playlists you created in iTunes will be also displayed as playlists. Select one movie and click Add button, or use Ctrl or Shift key to select multiple videos and click Add. If the videos you want to convert are listed in different playlists, you can repeat the steps of adding M4V videos, or use built-in search box to locate videos quickly. By default, M4V Converter Plus will preserve all multilingual subtitles and audio tracks, closed captioning, audio descriptions and Dolby 5.1 track, you can directly go to next step. However, you can also uncheck the subtitles and audio tracks you don’t want to preserve in the output MP4 videos. Now you can simply click Convert button to start conversion. DRM protection on iTunes movies will be automatically removed during conversion. You will get DRM-free and lossless MP4 videos. 30X faster conversion speed helps to save lots of time. All converted videos will be listed in History list and you can easily open output folder in History list. Now you can copy DRM-free MP4 videos to Android phones and tablets or any other MP4 compatible devices for playback. Apple now sells DRM-free music tracks, but also allows you to subscribe Apple Music streaming services. Downloaded Apple Music tracks also come with DRM protection. You can enjoy offline tracks on iOS and Android devices, but there is no luck for iPod Nano, iPod Shuffle and MP3 players. 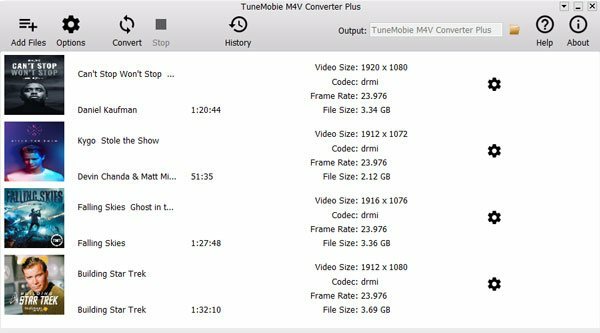 You can use Apple Music Converter to remove DRM and convert Apple Music tracks to MP3 or M4A for iPod Nano/Shuffle. 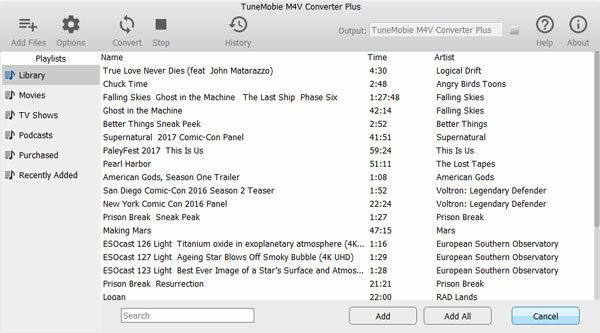 If you need remove DRM from both iTunes movies and Apple Music tracks, you can get iTunes Converter Toolkit which includes both programs but costs you less. What You Need to Know about FairPlay DRM & How to Strip?